Strongheart Martial Arts Academy has offered Quality Total Martial Arts education in South Dakota and West Central Minnesota since 2006. Strongheart Martial Arts Academy started in February 2006 in Aberdeen, South Dakota, and has since grown to over 10 locations in South Dakota and Southern Minnesota. We have offered Quality Martial Arts to our communities with the goal of developing the student and thus strengthening the community itself. We are proud members of the Greenquist Academy Association, the Cchung-Ryoung Hapkido Federation, and the United States Changmookwan Taewkwondo Union. The mission of the Greenquist Academy Association instructors is to provide the best martial arts education and Internationally recognized certification possible, individualized to personal ability without prejudice, in order to develop the mind, body and character of our students in the "Total Martial Arts Way." Strongheart Martial Arts Academy is an officially certified and recognized member of the Cchung-Ryoung Hapkido Federation and the United States Changmookwan Taekwondo Union. ​Master Nathan Schutz started his martial arts education in 1992 under 8th Dan Grand Master Eric Greenquist. He continues to be a student of Grand Master Greenquist. Master Nathan opened Strongheart Martial Arts Academy in Aberdeen, SD, in February 2006. That same year, the instructor of Ortonville Taekwondo asked him to take over the school as he was moving out of state to attend college. From those two schools, Strongheart Academy and its subsidiaries has grown to over 10 locations. Master Nathan is a member of the Greenquist Academy Association Masters Council and is the Greenquist Academy Association Regional Director for South Dakota and Southern Minnesota. Master Nathan is currently the head instructor of Strongheart Martial Arts Academy (Morris, MN), Ortonville Taekwondo, and Appleton Taekwondo. 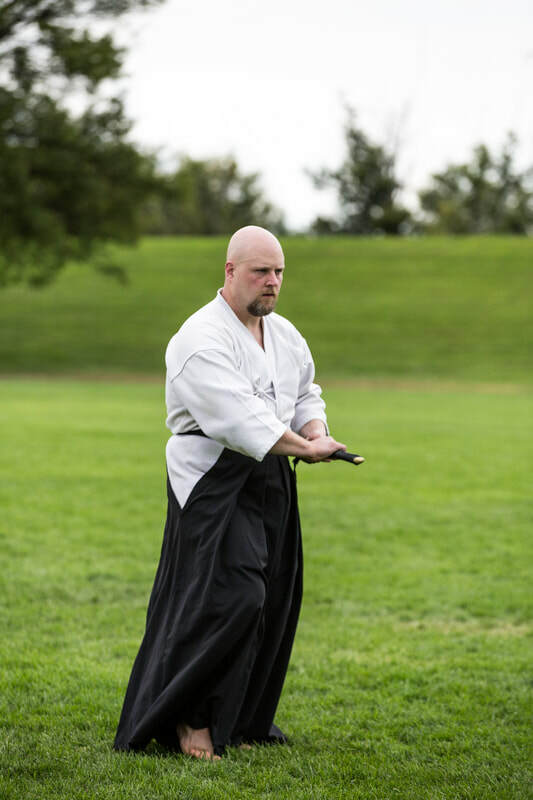 He is also a guest Kumdo instructor at the Greenquist Academy Association Headquarters in Breckenridge, MN, under Grand Master Greenquist's direction. Master Naomi Even-Aberle began her martial arts education under Master Nathan Schutz in 2006 in Aberdeen. Master Naomi is the head instructor of Full Circle Martial Arts Academy in Rapid City, SD, and oversees the Taekwondo club at the School of Mines. Master Nik assists Master Naomi in the running of the classes at their Dojang. Mr. Paul Moulsoff began his martial arts education under Master Nathan Schutz in 2006 in Aberdeen. ​Mr. Paul is the head instructor of Groton Family Martial Arts in Groton, SD. He is also the faculty advisor and head instructor of the NSU Taekwondo/Kumdo Club at Northern State University in Aberdeen, SD. Miss Charlene Blondo began her martial arts education under Master Nathan Schutz in 2007 in Aberdeen. ​Miss Charlene is the head instructor of Ellendale Martial Arts Academy in Ellendale, ND. She also teaches beginner Taekwondo courses at the AARC in Aberdeen, SD. ​Miss Ashley Anderson began her martial arts education under Master Nathan Schutz in 2007 in Aberdeen. Miss Ashley is the head instructor for Bowdle Taekwondo in Bowdle, SD. Mr. Tyler Anderson began his martial arts education under Master Nathan Schutz in 2007 in Aberdeen. Mr. Tyler assists in several locations, but trains mostly in the Aberdeen Dojang. ​Miss Maryah Wilson began her martial arts education under Master Nathan Schutz in 2007 in Aberdeen. Miss Maryah is the head instructor for Strongheart Martial Arts Academy in Aberdeen, SD. Mr. Shane Bruckner began his martial arts education under Master Nathan Schutz in Aberdeen. Mr. Shane is the head instructor for Webster Taekwondo in Webster, SD.